Dale R. Gerard is Senior Vice President of Finance and Treasurer at Vivint Inc. In this position, Dale is responsible for the treasury and risk management functions, including bank relationships management, capital market activities, liquidity and cash management, insurance, and overall corporate finance strategy. He played an integral role in the development of the company’s financial forecasting model and in Blackstone’s acquisition of Vivint, resulting in the largest technology transaction ever to close in Utah. He also nurtures Vivint’ s relationships with current and prospective investors and frequently draws on his strong experiences in raising capital through private and public offerings to support Vivint’s growth strategies. 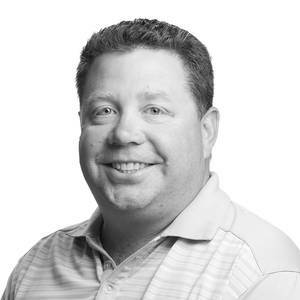 Aside from Vivint, Dale has had more than 12 years of experience in treasury and financial management. At American Commercial Lines he worked as the Assistant Treasurer and Director of Finance and was responsible for treasury operations, including billing, credit, collections, disbursements, liquidity forecasting, and banking relationships. Dale was also Senior Treasury and Financial Analyst at Wabash National Corporation where he supported the company’s risk management, treasury operations, and financial planning. He has also worked at Great Lakes Chemical Corporation as a Financial Analyst and was responsible for reporting and forecasting monthly financial statements and creating financial business models and strategies. Dale earned his bachelor’s degree in Accounting and his MBA from Purdue University. He is also a Certified Treasury Professional.